80 Day Obsession has been out for about 2.5 weeks and it has been a major hit with my challengers! People are loving the variety of the workouts, the new challenge and already seeing incredible physical results (I’ve had several challengers lose 5+ pounds in 2 weeks and others lose 5-10 inches in that time!). More importantly, my challengers are feeling refreshed, motivated and excited by this program because it’s challenging them in a new way. (P.S. I host private accountability groups for runners going through ANY Beachbody program monthly, if you want more info on how to join us, please use this form! I provide special insights into combining 80 Day Obsession or any program with running AND you get the accountability of runners doing it right alongside you!). The beauty of the program is that every workout is different and the program truly progresses with you as you get stronger and more fit. From the feedback I’ve received so far, this program isn’t for people who are new to fitness completely, but if you’ve already got some level of fitness, you can probably start with 80 Day Obsession, if you’re up for a challenge! 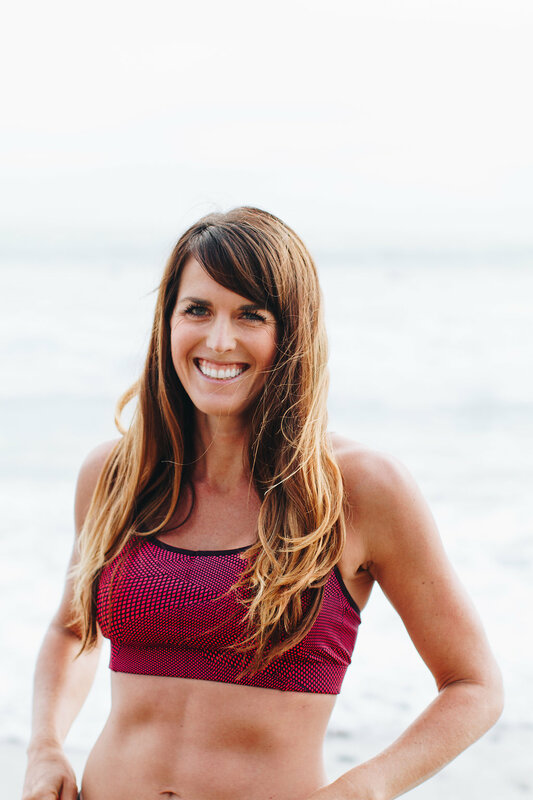 You can read all the details about this new program by Autumn Calabrese in my 80 Day Obsession Details blog post. This post is just for those who are looking to combine running with 80 Day Obsession. If you’re new to this blog, you may not know that I’m pregnant with twins which means I can’t do the program right now (I can’t wait to try it myself this summer!). However, I’ve had a ton of success combining P90X with running, 21 Day Fix with running and Shift Shop with running. I’ve trained for 7 marathons and countless half marathons over the last several years while doing these programs. I’ve also done research on the timing of strength training workouts (specifically when to do leg workouts) with running. I also completed the A Little Obsessed Workouts so I have a general feel for what each of the workouts is like (plus I’ve been getting feedback from my challengers and info from Autumn Calabrese herself via our exclusive coach test group). I feel that I have a good grasp of what someone can expect doing 80 Day Obsession and Running. That being said, I’m not a physician, personal trainer, or physical therapist, so please take this advice with that in mind. Don’t do speedwork/tempo run/hill repeats the day after a hard leg day – your run will be negatively affected for 24 hours following a leg workout (same goes for a long run that has a portion at race pace – easy/moderate paced long runs after working legs are fine). Ideally if you do both a run and a workout on the same day, do the run first. Up your nutrition to maintenance. Eat an extra blue/fat if you’re a woman (supports reproductive health). DO NOT attempt during peak training or during training for an important race (if your goal is to finish that’s fine). Take a rest day EVERY week – experienced runners could do a super easy run on Sundays but I would still recommend a full rest day every 2-3 weeks. Take a daily recovery drink with BCAAs and Glutamine (I recommend Beachbody Recover and/or Recharge) to help you prepare for the intensity of the workouts. If you’re feeling totally beat from a speed workout/tempo, etc. skip legs or booty that week (alternate these if you decide to skip weekly). Do NOT do any 80 Day Obsession workouts during race week for your goal race. I recommend skipping Cardio Flow if your long run is 8 miles or longer. However, if you aren’t training for a longer distance race, you could do both Cardio Flow and a short run on Saturdays instead of skipping Cardio Flow (see schedule below for full details). Can I Train for a Marathon and Do 80 Day Obsession? Ideally, you’d do this program BEFORE you start a marathon training cycle. I’m talking about the full marathon here. I am not sure you can commit fully to this program and run 5 days a week, as most marathon training plans call for. Ideally, you’ll want to complete the program as intended or as close as possible to as intended and with running high mileage (35+ miles/week) it would be hard to recover. That being said, everyone has their own goals when it comes to this program. I did P90X (slightly modified as I never did the Kenpo workout – I ran long instead) and had an incredible transformation ( I was even on the infomercial!). It was my first marathon and I only ran 3 days a week and did little speed work. I did have to modify the nutrition program a little bit to accommodate my running but I was still able to get great results. The caveat was that I was 28 and childless at the time with a low stress job. I had time and energy to do 1-1.5 hour daily workouts, plan my nutrition AND run 3-4 days a week, including a long run. I would never attempt to do 80 Day Obsession and train for a marathon right now, simply because I don’t have the time. And while 80 Day Obsession workouts are slightly shorter than P90X, ranging from 35-60 minutes, 80 Day Obsession is more lower body focused which means your legs aren’t getting a break (P90X has two dedicated upper body days, 80 Day Obsession utilizes lower body in every workout in some way). Can I Train for a Half Marathon and Do 80 Day Obsession? This is more doable, so yes, I think you could train for a half marathon and 80 Day Obsession. In fact the schedule I created is geared toward someone training for a half marathon. Download my free 80 Day Obsession & Running Guide here! Are you a runner looking to add strength or cross training to your training plan? My monthly challenge groups are full of runners doing just that using not only 80 Day Obsession but any Beachbody program (I love LIIFT4 for runners short on time) – click here to get more information on joining the next monthly accountability group! I think my biggest “obstacle” with strength training to to find a balance when I’m in training for a race. Granted, I’m seldom training for smashing any of my PR’s, but doing too much strength work sometimes fatigues me for the next run. When I’m not in training it’s super easy for me to get in strength work and all the “extras.” When I’m training, though, my main focus switches to running. Unfortunately I’m injured right now so I’m not doing a whole lot of either! My biggest challenge is finding the discipline to strength train after a run. I’m exhausted! Yeah usually if I do a double day I have to run in the morning and then do the strength training in the evening or vice versa! I literally just got this question from a nutrition client of mine recently! I think you summarized all the same things I told her in this post 🙂 Esp not to attempt peak training for a first time new distance race while simultaneously trying to do the 80 day program. Yes, it’s hard because we always want to do it all! But unfortunately we can’t! I wish I could too! I always strength train before I run, and those runs are very short/intervals. I usually don’t run on days that I strength train unless its a very short run (1-3 miles). I’m usually pretty tired after a run! I do struggle to find a balance between my runs and strength work, which is why the strength training suffers at times. My mistake always has been running and not strength training to prepare for races. I will have to check this out. It sounds like planning, dedication and determination are the way to go. It’s amazing what you can do if you make it a priority. Very impressive results! Weight training has definitely helped transform my body. Balancing a workout plan with multiple goals and competing factors is always a challenge. I often find it difficult to keep up with strength training when at the height of my training for a race, but I also know how important it is in order to make me stronger and help prevent injury. If only our time were unlimited! Awesome results! I can see how this would be a challenge to balance everything, but what a payoff! My biggest challenge when training is actually taking proper rest days! Obs yesterday and loved it but I’m scare lol!! Would you recommend doing 21 fix o the extreme better I’m trying to get in shape and loose some pounds thanks in advance I’m happy I found your blog ? I definitely think 21 Day fix or extreme are easier to include in half marathon training, yes! If you’re up for the challenge you can definitely do 80 day obsession though! Are you already working with a coach? the hardest obstacle for me is definitely the TIMING of everything and fitting it all in my schedule. One of these days I won’t be running around doing all the things AND training for a marathon! Question: I love your 80DO and running schedule, but was curious as to why you switched up the video days. For example, in the original 80DO schedule, Total Body Core is always on Monday and so on, but on your schedule it varies. Just wondering the reason behind it. omgosh.. just kidding!!! I was thinking your schedule was week 1, 2, & 3. I now see that it is Phase 1, 2 & 3! I am so sorry for not paying attention to details before commenting!! Oh no, are you not feeling fueled for your workouts? How many miles per week are you doing and are you doing all 6 80 day obsession workouts? Sounds like you’re not getting enough fuel. Hey! I just checked it. After you put your email address in, it should redirect you to a page with a button that will allow you to download it. Since your email may already be used, try again by adding a period in your email address somewhere so it thinks it’s a new email address.